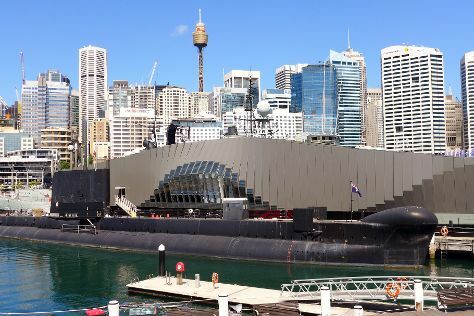 You'll explore and learn at Australian National Maritime Museum and The Rocks Discovery Museum. Escape the urban bustle at Bondi Beach and Manly Beach. And it doesn't end there: appreciate the extensive heritage of The Rocks, take a stroll through Darling Harbour, catch a live performance at Sydney Opera House, and look and learn at Sydney Observatory. For maps, other places to visit, where to stay, and tourist information, read our Sydney trip maker site . Honolulu, USA to Sydney is an approximately 13-hour flight. The time zone difference moving from Hawaii Standard Time to Australian Eastern Standard Time (New South Wales) is 20 hours. March in Sydney sees daily highs of 79°F and lows of 66°F at night. Cap off your sightseeing on the 20th (Wed) early enough to travel to Uluru-Kata Tjuta National Park. Step out of the city life by going to Uluru and Kata Tjuta. Get a sense of the local culture at Uluru-Kata Tjuta Cultural Centre and Walkatjara Art. There's lots more to do: admire the verdant scenery at Valley of the Winds, go for a walk through Lungkata Walk, trek along Uluru Hiking Path, and contemplate the waterfront views at Mutitjulu Waterhole. For more things to do, photos, and tourist information, use the Uluru-Kata Tjuta National Park trip website . 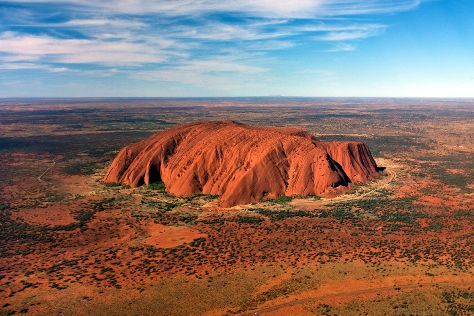 Fly from Sydney to Uluru-Kata Tjuta National Park in 5.5 hours. Alternatively, you can drive. When traveling from Sydney in March, plan for somewhat warmer days in Uluru-Kata Tjuta National Park, with highs around 95°F, while nights are about the same with lows around 70°F. Wrap up your sightseeing on the 23rd (Sat) early enough to travel to Port Douglas. Kids will enjoy Safaris and Hartley's Crocodile Adventures. Get outdoors at Scuba & Snorkeling and Wildlife Habitat Port Douglas. There's still lots to do: view the masterpieces at Des Spencer Galleries and look for gifts at Coffee Works Port Douglas. To see maps, where to stay, reviews, and tourist information, refer to the Port Douglas day trip planning tool . You can do a combination of flight and shuttle from Uluru-Kata Tjuta National Park to Port Douglas in 6 hours. Another option is to drive. Traveling from Uluru-Kata Tjuta National Park in March, expect nights in Port Douglas to be about the same, around 74°F, while days are slightly colder, around 87°F. Finish up your sightseeing early on the 26th (Tue) so you can travel back home.